Lord, we must believe that you are here and more present than all our circumstances combined; more present and determining than any disturbing imagination, any decision we make, any action we take. You are God. You do not fail your own. We are your very flesh and bones, and loved as such (Eph. 5:30). Fill us with thanksgiving and expectancy as we walk in your ways of delight. Father, You have already solved every problem we face. We simply need to walk forward into your solutions, with you. Your rod and your staff comfort us. Restore our souls. 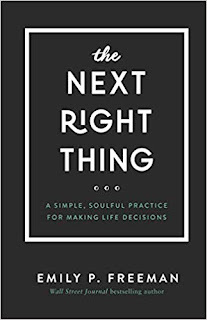 The Next Right Thing: Get it! 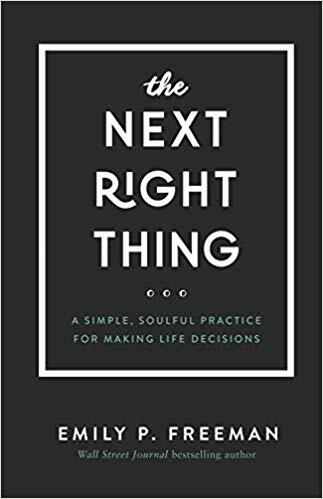 If you are struggling with decision-making - as I often do - you've got to get this book. I cannot recommend it enough. Find it here on Amazon. Yes, it's written more for ladies, but I'm finding it helpful. :-) Her website is here: emilypfreeman.com . Some time ago, I posted on this blog various chapters from an old pamphlet by The Rt. Rev. William Meade (See Index in the sidebar: "Meade"). I have collected the whole pamphlet with a little more material and published it as a book. You can find it here on Amazon. Folks, as of this St. George's Day of 2019, I've decided to come back here to do my blogging. I also blog at the website of the C. S. Lewis Foundation. You can go there to find my posts on the book How To Pray, by C. S. Lewis - if you had been keeping up with those. There will eventually be posts for all 18 chapters. I hope you are having a blessed Easter season. Further up, and further in! 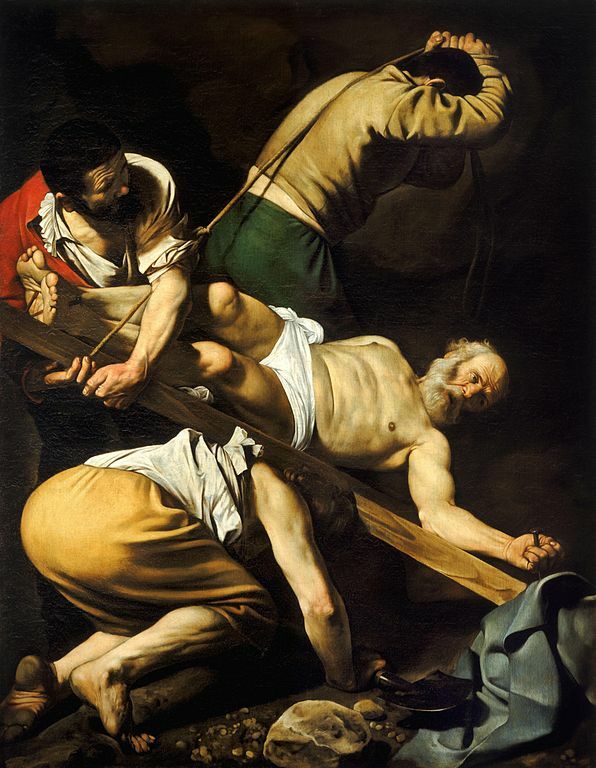 Caravaggio, The Crucifixion of Saint Peter. Oil on canvas, circa 1600. The truth before us is eminently full of comfort to a true believer ... it is an unspeakable consolation to remember, that our whole future is known and forearranged by Christ. There is no such thing as luck, chance, or accident, in the journey of our life. Everything from beginning to end is foreseen,—arranged by One who is too wise to err, and too loving to do us harm. What is the most important thing about God that helps you when you are tempted to fret? Do you have any questions about this post? Why not share that in the comments below. I look forward to hearing from you. 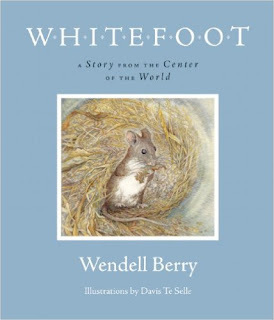 Notes on Wendel Berry's ​ Whitefoot: A Story from the Center of the World. She is a creature who knows her place and how to live. She goes about the unfinished task of staying alive (p. 60), taking - hour by hour - the opportunity to live (p. 56). To that end, she does her work in the only world she knows, the only world she has to live in: her acre. But our little lives are still lived in a wide world and there are storms in this world. And these storms can move us and change our circumstances. They can lead us into strange places; challenging places. How does she take these storms? By simply staying alive where she is. She went on a trip - unwillingly via the storm - into the wide world - far from her familiar acre - and at certain points on the way, she was actually quite unaware of what all was going on in world. For she ate and slept, which was her nature as she continued to live in the littleness of the world immediately around her. The story is an example of how the storms of life can bring all manner of change, but there will be some things that do not change and our own world is still for us the center. Our center is our focus and it is enough for us to deal with ("enough" is a key principle). We can let a lot of stuff go by, because it is beyond us anyway. We are doing what we need to do in our own acre of the wide world. 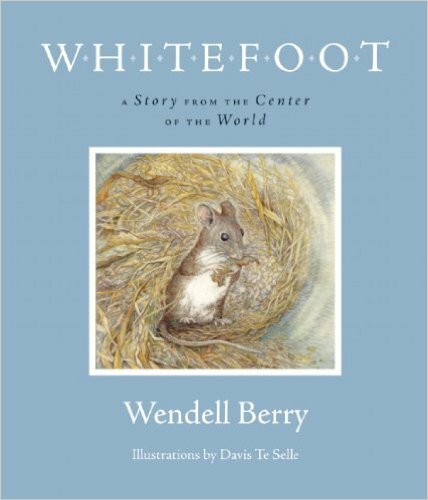 And when we go to sleep at night, we do so like Whitefoot: "Her sleep was an act of faith and a giving of thanks." The Lord's Prayer is a pattern prayer for all our praying, but it is also a lesson for us in forgiveness: we must forgive. In Matthew 6, the petition, "and forgive us our trespasses as we forgive those that trespass against us" is the one petition that the Lord emphasizes above all others. It's almost as if Jesus is saying that this is the main reason for giving us the prayer in the first place! 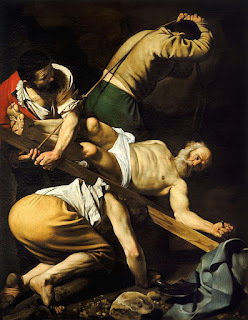 He no more says "Amen" and then he says, "For if you forgive men their trespasses, your heavenly Father will also forgive you; But if you forgive not men their trespasses, neither will your Father forgive your trespasses." This makes perfectly good sense. It's a matter of justice, isn't it. It's not fair for us to ask God to forgive us our enormous offenses against him, if we will not forgive the offenses people have committed against us. That doesn't make it easy, but it is the fair thing. And think of it this way: How can God forgive the sins of someone who refuses to let go of his own sins? Bitterness and resentment are sins. If you won't let go of your resentment toward someone, you are hanging onto a sin and, as David says in the Psalms, "If I regard iniquity in my heart, the LORD will not hear me." 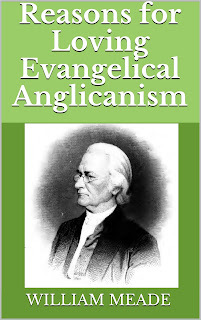 I like the way Michael Green puts it in his commentary on Matthew: "For if we are to open our hands to receive his gracious pardon, we cannot keep our fists tightly clenched against those who have wronged us. So often our prayers are nullified because there is someone we think we cannot forgive" (p. 101). The Lord's Prayer is a model prayer for us because it reminds us that there can be conditions for God's blessings in our lives. Our salvation is ultimately all of God's grace, but within that grace, there is a place for our own responsibility, and here it is. If we want to walk at peace with God with a clean conscience, with our sins forgiven, we have to seek the grace from him and be determined to be forgiving ourselves. It can be very, very difficult to forgive sometimes, but we absolutely must. And we may have to forgive someone over and over again, every time we remember what happened. But each time we do, we know we are doing the right thing. We also know we are doing what is good for our own souls. Plus, our friends, our families, our churches, the whole world need our prayers. It's worth giving up our foolish bitterness so we can keep the channel of prayer open. There are so many battles left to fight.